How Does Hydrostatic Pressure on Basement Walls Cause Basement Flooding? Going down to your basement and stepping in a pool of water is not the best way to start the spring season. 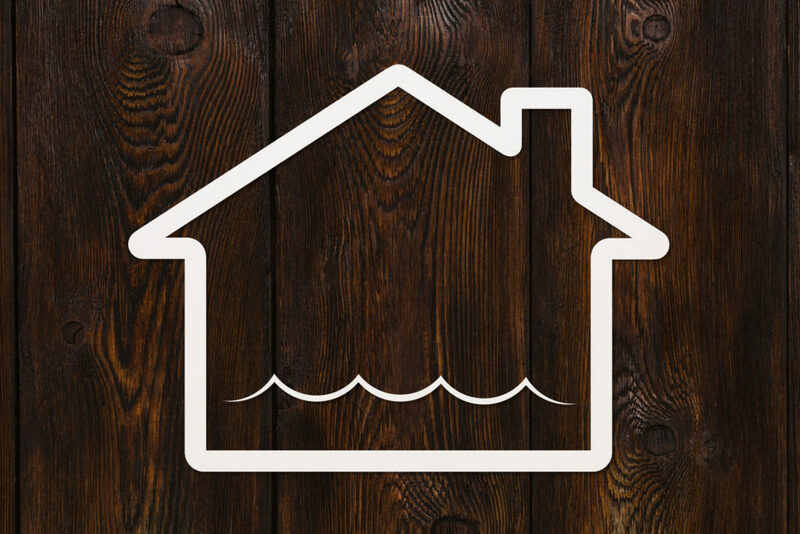 Unfortunately, this can happen as snow melts and water begins to surround your home’s foundation. Hydrostatic pressure can seep water into your basement, and if left unnoticed, standing water can cause damage to your property and lead to the buildup of mould. If you’re wondering what the connection is between hydrostatic pressure and basement flooding and/or want to learn about hydrostatic pressure prevention, here’s what you need to know. “Hydro” refers to water, and “static” refers to resting. Hydrostatic pressure is defined as the pressure exerted by standing water, depending on how deep it is. It is a natural force, able to move rocks, buckle walls, and damage concrete. Hydrostatic pressure increases as the depth measured from the surface increases due to the weight of water pressing downward from above. To put it simply, it is the pressure exerted by water to combat gravity. If you don’t have a sump pump installed, adding one may prevent your basement from flooding. If you do have one, you can check it to make sure it is working properly. Get a five-gallon bucket of water and fill the pump until it activates. Make sure it runs smoothly, and that the downspouts are discharging away from your home. Dirt and debris can get stuck in the pump as well, blocking it from working and shortening its life span and power. You can vacuum the pit out with a shop vacuum to remove any debris, stones, dirt, leaves, and garbage. If your gutter downspouts are clogged, this can cause an overflow, leading to water pooling around your house. Make sure your gutter downspouts are clear of debris. If they are clean and working as they should, yet water is still seeping in through that area, consider getting a downspout extender to send the water even further from your home. An interior perimeter drainage system can help you if water is entering your home through basement walls or the floor. It collects the water that would otherwise rise, causing a basement flood. It sends the water to a sump pump system to be directed away from your home. If a small, open gap is left in the system, it can also collect water leaking from the walls. This is a more permanent solution to hydrostatic pressure. The system is installed on top of the footing and does not clog. It wraps around the entire foundation to prevent water from rising and pressing against the walls. Having an interior drainage system in place will get the water out in the case of a flood. However, its one flaw is that it does not waterproof the walls. You will need an exterior drainage system, which is often referred to as a “French drain.” This will relieve the pressure and waterproof the home from the outside to protect the foundation. If you notice water leaking into your basement from low on the walls or where the wall meets the floor, you are likely dealing with hydrostatic pressure. Check if you have footing drains, which are underground pipes installed when the house was initially built to carry water away from the foundation of the house. If these drains are clogged, flush them with a garden hose by opening the cleanout. If this fails, call the professionals to help you resolve the issue. If you plan to renovate your home or sell it in the near future, waterproofing your basement is a wise investment. It will improve your quality of life, keep your family healthy and safe, and protect your property. Wet basements are one of the major deterrents of selling a home, and damage can lower its value by over 10%. By waterproofing your basement, you will benefit from the investment, as it pays for itself in the value of your home. If you need more tips to preventing a basement flood, or if you need emergency help for a flooded basement, Flood Services Canada can help you. Depending on where the water is flowing in from, you can be dealing with a situation that is harmful to the health of you and your family. The longer you leave water standing in your basement, the higher the risk will be for irreparable damage, so act quickly let us help you. Our professionals can remedy the situation and help you settle with your insurance company. We deploy our quick-response teams across the Greater Toronto Area to help homeowners in a messy situation. We’re ready to provide 24/7 sewage, water damage, and flood cleanup services and will use the best techniques, personnel, and technology to ensure your home or business is clean, safe, and dry as soon as possible. Contact us at (416) 302-2107 to learn more about our water damage cleanup services, or use our emergency hotline at (416) 999-3930 to get our rapid-response teams deployed to your location.